Yuan Wu is a Chinese artist who was born in September 1959, in Jilin city. In 1984 he graduated from the Academy of Fine Arts in Northeast Normal University. Then he learnt the Chinese painting in China Central Academy of Fine Arts. 1995, he graduated and got the master degree. Now, he is the vice-president of Beijing Fine Art Academy, the director of Chinese Artists Association and enjoys the special government allowances. His work “Heavy Snow” won the bronze medal in The Seventh National Art Exhibition. Work There Is No Wind In Spring won the medal in The Eight National Art Exhibition. Work Sound In Nature won the first prize in The First Maple Cup International Competition in Chinese Ink Painting. His work the Butuo People In Mount Liang won the outstanding award in National Exhibition of the Chinese ink painters. Work Happened In 1998 won the silver medal in The Ninth National Art Exhibition. 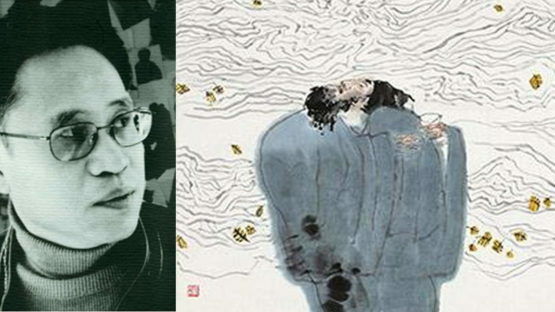 1997, he was adopted as one of the most outstanding artists in Chinese painting by the National Art Association. Work Family won the first prize in National Art Exhibition of prize heroes fighting flood. Work the Butuo People In Mount Liang was selected into the Century Chinese Painting Exhibition. His work Anti-Union Survival won the People’s Liberation Army Art Award. His work Grass In Night was selected into the Beijing International Double Years Exhibition. His work Anti-Union Survival won the gold medal in the Tenth National Art Exhibition. His pieces of works were exhibited in Art, Chinese Painting, Chinese Painting and Calligraphy, Chinese Painters and Art Observation.